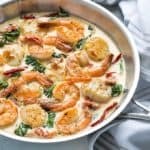 If you’ve got 20 minutes and a pound of peeled shrimp, these savory Roasted Garlic Parmesan Shrimp are a MUST-MAKE! 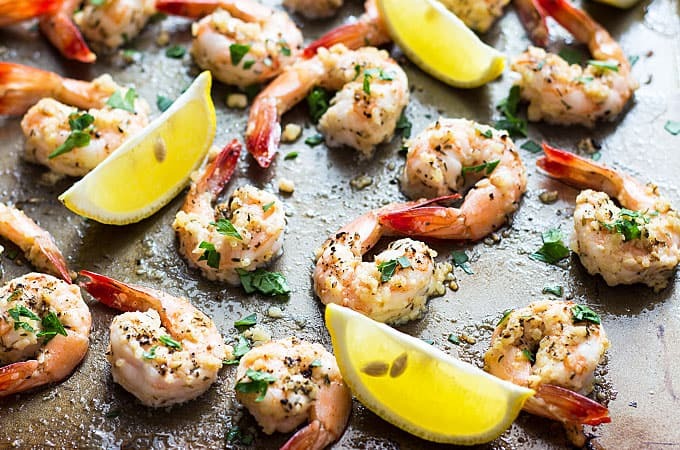 If you buy your shrimp already peeled, this recipe comes together in 20 minutes or less. YES! 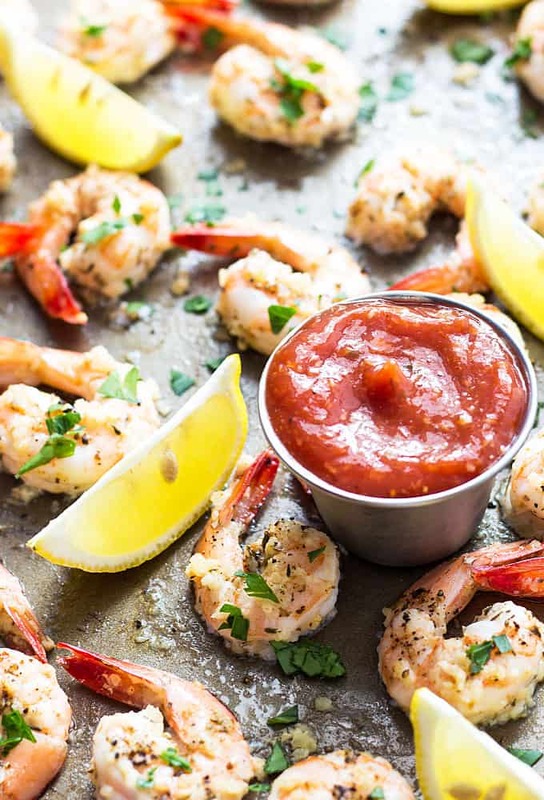 But I really don’t mind peeling shrimp; I actually enjoy it. 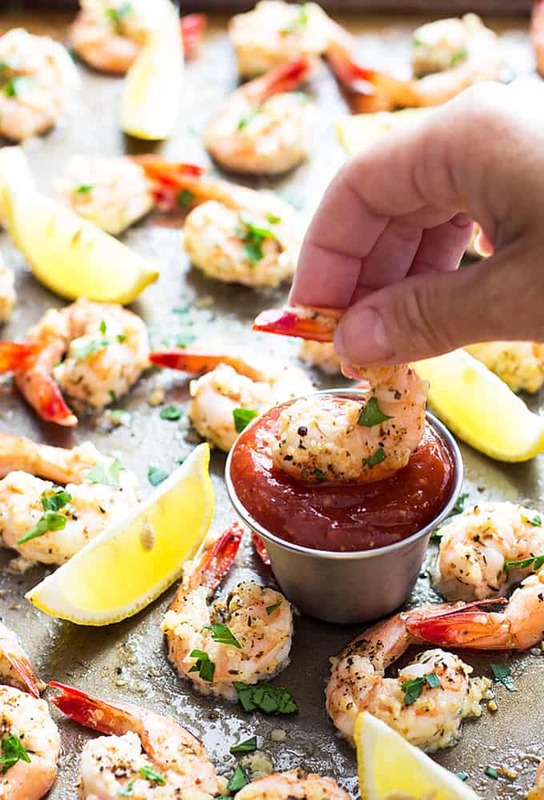 There’s just something therapeutic to me about standing at the sink, listening to music, having a cold beverage and peeling shrimp. I love it! 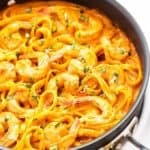 This recipe is an quick and inexpensive appetizer or dinner. 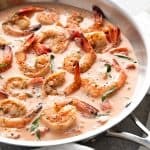 I served them with my homemade cocktail sauce. We ate them as dinner with a salad and garlic bread…. AMAZING! Take these to your next game day get-together and you’ll be a rock star. Promise. Preheat your oven to 400 degrees F. Spray a large rimmed baking sheet lightly with cooking spray. 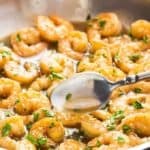 Place shrimp in a large bowl, Add olive oil, lemon juice, garlic, oregano, thyme, Old Bay seasoning and Parmesan Cheese. 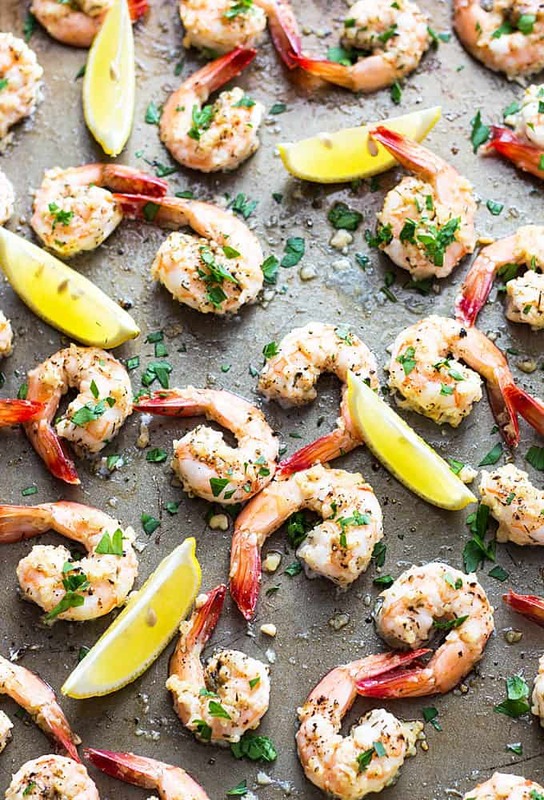 Gently toss with your hands to coat shrimp evenly as possible with Parmesan mixture. 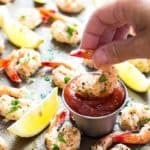 Place shrimp evenly on baking sheet and sprinkle with desired amount of pepper. 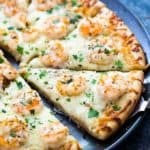 Bake for 7-9 minutes, or until shrimp are pink and cooked. 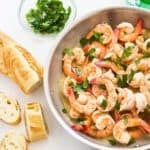 Sprinkle with parsley and serve with homemade cocktail sauce, if desired.